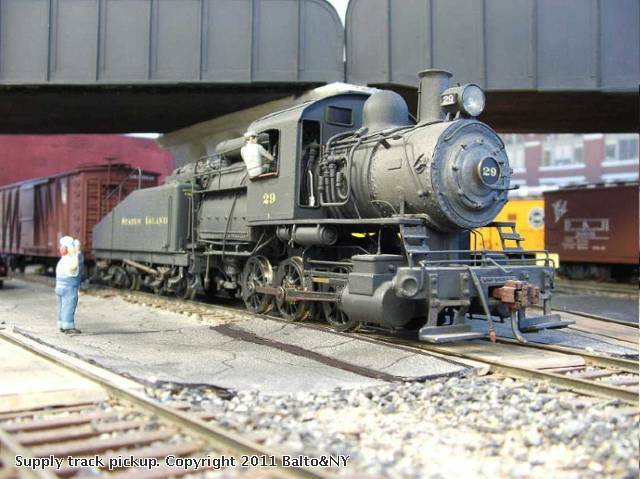 Brass, scratch-built camelback 0-6-0 picks up an empty at the Baltimore & New York's Edgewater Engine House supply track. Yes, engineers on camelbacks did often sit on the cab's window sill when running the loco. Beautiful model of the camelback. The engineer is a nice touch since it was very hot in the cab.